Maria Ruiz-Primo and Min Li (2013) examined formative assessment from the perspective of research in the areas of science, technol­ogy, engineering, and mathematics (STEM) edu­cation. This chapter is based on a meta-analysis where the research papers were examined and found to be appropriate to be included – from 9000 to 238 papers. This focus allowed the researchers to examine the state of research into formative feedback in the classroom context. 1. Be seen as a process strongly guided by the learning goal(s) that the teacher and students work toward. 2. Actively involve students in the feedback process by engaging them in (1) defining the evidence of learning and/or success criteria (or goal or reference level) being targeted, (2) comparing the current or actual level of performance with the evidence or the criteria for success, and (3) using assessment information to improve their own learning to reduce the gap. 3. Be considered as an instructional scaffold that goes beyond written or oral comments. 1. Students are essential players in the feedback process. 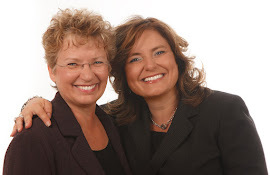 They need to be partners in clarifying learning goals or success criteria, comparing current perfor­mance with success criteria, and using the infor­mation to formulate an action plan and as feedback providers and developers of actions to be followed. 2. Feedback that supports learning is far more than oral or written comments to students’ performance. It involves looking for evidence of students’ learning on ongoing interactions and continually engaging students in discussions about learning and quality. This chapter is well worth reading. I appreciated the thoughtful proposal of a framework for research in this area along with the frameworks implications from classroom practice. It is important that feedback be studied in the context of classroom learning and framing powerful research questions is an important part of that work. As I read this chapter, I especially appreciated the emphasis on the role of the student – the learner. For example, “If [formative assessment] is exclusively in the hands of the teachers, it can be argued that students cannot be entrusted with managing their own learning, and self-regulation skills thus are less likely to be developed (Andrade, 2010) (p. 224). This chapter is a ‘must read’ if you are working with educators and promoting high quality feedback to support student learning. You might also enjoy Dylan Wiliam’s (2007) chapter focused on feedback from an instructional perspective in mathematics classrooms. Andrade, H. (2010). Students as the definitive source of formative assessment: Academic self-assessment and the self-regulation of learning. In H. Andrade & G. Cizek (Eds. ), Handbook of Formative Assessment (pp. 90-105). New York: Routledge. Ruiz-Primo, M. & Li, M. (2013). Examining formative feedback in the classroom context: New research perspectives. In J. H. McMillan (Ed. 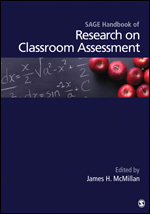 ), SAGE Handbook of Research on Classroom Assessment (pp. 215-232). New York. SAGE Publications. Black, P. & Wiliam, D. (2009). Developing the theory of formative assessment. Educational Assessment, Evaluation and Accountability, 21(1): 5 - 31. Wiliam, D. (2007). Keeping learning on track: Classroom assessment and the regulation of learning. In F. K. Lester Jr. (Ed. ), Second Handbook of Mathematics Teaching and Learning (pp. 1053–1098). Greenwich, CT: Information Age Publishing.